Having isolated Pakistan in the international community reasonably effectively, India will come face to face with China, Pakistan’s mentor and accomplice, at the two-day Brics summit in Goa this weekend. 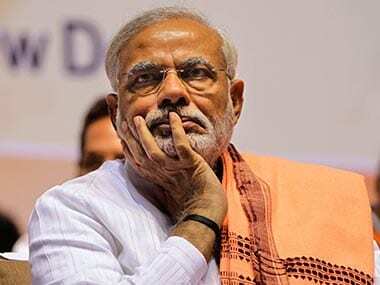 Prime Minister Narendra Modi is expected to at least politely confront Chinese President Xi Jinping over China’s own duplicitous role in the India-Pakistan tension. Modi must refuse to succumb to the latest carrot that China has dangled before India: that it is “willing” to continue the talks on India’s entry into the Nuclear Suppliers Group (NSG). This means nothing, unless China makes a substantial promise with a modicum of honesty, but honesty has never been a virtue of Chinese foreign policy. Besides Modi and President Xi, Russian President Vladimir Putin, Brazilian President Michel Temer and South African President Jacob Zuma will attend the 15-16 October Brics summit. 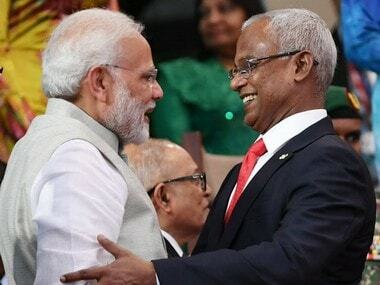 It would be naive to pretend that Uri will not cast a dark shadow over the five-nation summit of Brics and the “retreat” of the seven-nation Bimstec that will follow it in Goa. Modi couldn’t have hoped for a better venue to continue his diplomatic offensive against Pakistan. The leaders descending on Goa together represent nearly half the world’s population and a quarter of the world’s GDP. Formed in 2009, Bric, as it was first called, consisted of Brazil, Russia, India and China. With the entry of South Africa the next year, it became Brics. The eighth summit in Goa will be the second that India is hosting after the one in 2012 in New Delhi. Bimstec (Bay of Bengal Initiative for Multi-Sectoral Technical and Economic Cooperation) includes Bangladesh, India, Myanmar, Sri Lanka, Thailand, Bhutan and Nepal. But it’s China that India is most wary of. India has been a victim of Chinese foreign policy, always marked by intricate trickery, confounding mystery, devious mischief and diabolical doublespeak—all with an element of nasty surprise. China’s incursions into Indian territory, its recent pointless talk about stopping the Brahmaputra water, its continued resistance to India’s entry into the NSG and its refusal to back India’s move for a UN ban on Pakistan-based terrorist Masood Azhar have, among other things, surprised and upset India. India must say enough is enough, but cautiously, because trade is irrevocably linked to the hypocritical bilateral relations that the two countries have. And when he meets President Putin, Modi must also express India’s concern over its old friend Russia increasingly warming up to Pakistan. Brics is primarily an economic grouping and so the agenda of its summit is dominated by business. But the indications are that India will insist that the “Goa declaration” that will come at the summit’s end must include a categorical condemnation of cross-border terrorism. Whatever will be the final contents of this declaration, Modi will have enough opportunity to do some plain-speaking about Pakistan during his one-on-one meetings with the various Presidents and Prime Ministers on the sidelines of the two events. Clearly, it’s Modi’s meeting with President Xi that will be most watched. China’s biggest problem—though it’s not any of India’s business what problems China has in the region—is that it is caught between its geopolitical interest in Pakistan and its desperate dependence on the Indian market for its exports. In trying to balance between the two, the Chinese are cutting themselves sorry figures in the eyes of international community. On its part, India has a lot to suffer from China’s military backing for Pakistan, and yet the country badly needs Chinese imports and investments. On 15 September, China set up a so-called China-India Business Council (CIBC) to “promote and coordinate” Chinese investments in and business with India with an office at Changsha, the capital of Hunan province. This was in response to India’s demand that China must promote investments in view of India’s growing trade deficit with that country. Three days after this came Pakistan’s perpetration of horror at Uri. 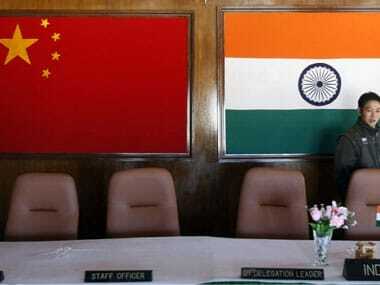 China made some tentative noises by telling both India and Pakistan to have a dialogue and “de-escalate” tension. But in the days that followed, China sent out two strong messages to remind India who its real friend is. One was China’s announcement that it was building a “huge” dam on the Xiabuqu tributary of the Brahmaputra. The idea of building that damned dam is not new. Nor is the amount of water that it can possibly divert from flowing into India and Bangladesh significant. But it was China’s way of making a retaliatory noise against India’s move to review the Indus Waters Treaty that threatens to reduce water flows into Pakistan. 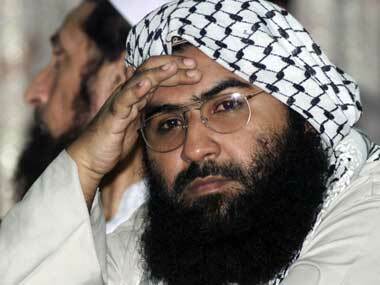 The other, stronger, message from China came when it once again blocked India’s move at the United Nations to ban Masood Azhar, the dreaded Jaish-e-Mohammed terrorist, who roams freely in Pakistan. And then came a joke as Brics summit neared. China said that the dam on Brahmaputra would do no harm to India and that the question of Masood Azhar was an open one. 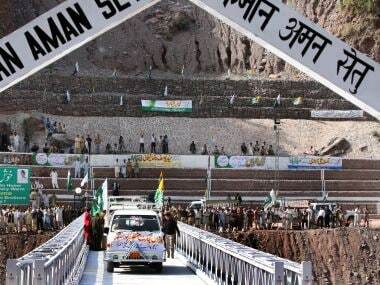 And China, of course, continues to be unrelenting in its opposition to India’s entry into the NSG and is going full steam ahead with the $-50-billion China-Pakistan Economic Corridor (CPEC) through Pakistan. So it’s CPEC for Pakistan and CIBC for India. And Masood Azhar can plan his terror attacks on India at will. The Chinese leaders have been probably congratulating themselves on how smart they are with their carrot-and-sticks policy for India. The fact that the world in general and India in particular sees through their chicanery hasn’t stopped them from pursuing the game. Each carrot that China continues to dangle in India’s face is accompanied by ten sticks. But now, even the Chinese are finding that things are changing a little. They are increasingly becoming aware that the bursting of its economic bubble has led to a significant reduction in their clout — and that the world is getting more and more wary of its dishonesty.